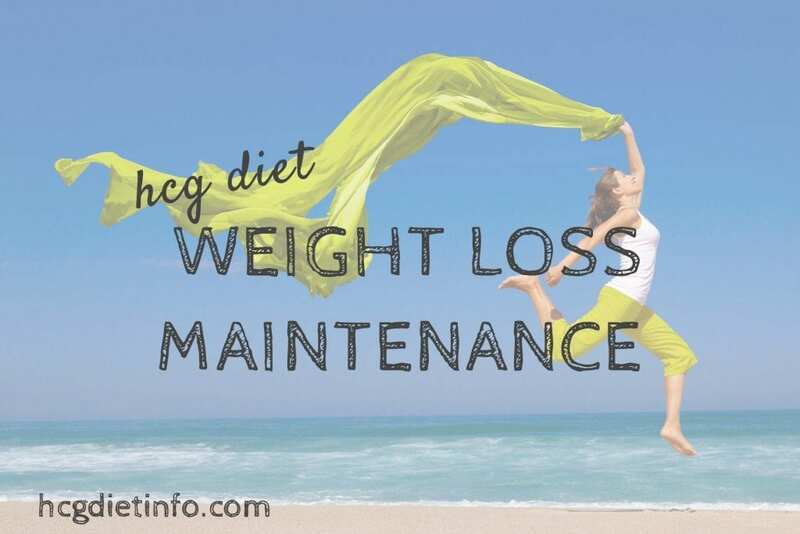 Long term weight loss maintenance is quite possibly the greatest benefit of the Hcg Diet Plan. While most people believe that Maintenance begins in phase 3 or phase 4, we believe it begins from the minute you decide to begin the diet. This is because the protocol provides an incredible opportunity to begin changing negative eating and food habits, while building healthy living skills. How to keep the weight off, after the Hcg Diet protocol is complete. Learn the difference between healthy and unhealthy foods. Foods allowed on the HCG Diet, are Healthy foods. Avoid unhealthy fats. (Example: Avocados are good fats. Sour cream is not good fat.) Phase 3 superfoods contain a number of healthy fat foods. Most important, learn to listen to your body. If you are tired, sleep. If you are hungry, eat. If you are repeatedly hungry, adjust your diet and mealtimes until you are not. Learn balance. If you eat something you feel wasn’t a good idea, do something to counteract that feeling. Understand Zig and Zag is true healthy living. You don’t have to live and eat healthy 100% of the time. In fact, true healthy living, can include the occasional meal that would be considered “unhealthy.” Ideally, you want to learn to see all food as “good” foods, as fuel, but eat those that are more nourishing than others at least 80% of the time. Focus on what you GIVE your body, rather than restricting. Are you getting enough protein? Are you getting enough greens? Are you meeting your daily vitamin allowances? Healthy living means giving your body what it needs, rather than constantly focusing on NOT giving your body certain foods. The truth is, if you are constantly giving your body x amount of protein a day, and x amount of greens, and x amount of healthy fats, vitamins and supplements… chances are, you’re going to be full and satisfied and completely disinterested in foods you would have craved in your pre-hcg diet days. Stop the guilt and shame. There is never a need to guilt yourself over something you ate, or your current bodyweight. Choose workouts that you enjoy. If you don’t like to run, don’t take up jogging. If you don’t like to workout, try something new until you do. Take up boxing, hot yoga, paddle boarding. Really hate working out? Choose something that has you focused on building a skill, rather than focused on the workout. If you’re focused on mastering that double-jab with your boxing coach, you won’t realize you’ve just worked out so hard, you burned 1200 calories in the last hour. Exercise for at least 20 minutes a day, no matter what. Exercise early. Set the tone for your day with an early workout. You’ve started your day doing something good for yourself. You’re starting your day with a good dose of happy-making endorphins. You’ve raised your heart rate and metabolism for the entire day. Congratulations, you’ve lost a lot of weight in Phase 2, successfully navigated Phase 3 stabilization and are at your new set point weight. It’s celebration time! But what now? Every one of us that gets to this stage hopes to continue being successful at keeping our results without further deprivation. There really isn’t any specific guidance for P4 (the time after stabilization and between any further HCG rounds) given in the protocol, so we are left to our own devices. That can lead us to get careless and fall back into the old habits that got us overweight in the first place, or we can seek a new, healthier way of eating going forward. 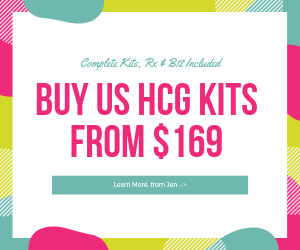 In my HCG journey I’ve tried several really good maintenance plan options, and can recommend each of them for various reasons or seasons. For those who feel out-to-sea after the disciplined rules of the HCG weight loss protocol, and even the more relaxed rules of Phase 3, should be looking for a sustainable way to maintain that weight loss. Here are my thoughts on 3 good strategies that keep you eating lots of real, whole and healthy foods. Pros: everything is yummy, you have choices within each meal, you get to eat grains and sweet fruits, and a lot of them. Cons: takes lots of planning and dealing with leftovers of things you can’t eat again till next week, the Part2 days are a little more challenging because you only have protein and veggies to work with. Dairy and coffee are off-plan. Want the healing effects of FMD but without the structure? This plan allows dairy, coffee and a tsp of fat with starch meals but promotes natural sweeteners instead of sugar. The aim is to keep everything low-glycemic. THM is closest to P3 eating with a template on how to incorporate starch into the P3 framework without disaster. Pros: Most flexible. You can have dairy proteins and cream in your coffee. You can have a tiny bit of fat with starch meals. Cons: Most flexible-its’ easy to mess up because you do have so many choices. Even when you are allowed starches, they are restricted to small portions. Want to zero in on what “healthy” foods might be working against you, creating hidden inflammation that could be the source of arthritis, skin conditions, hormone or gastric problems–not to mention weight gain? Try The Plan [Lyn-Genet Recitas]. Start with the most benign foods for 3 days and then gradually test foods you want in your life one at a time to build your friendly foods list. Pros: you might actually finally figure out what your real friendly foods are, not just the benign ones and learn how to use that to lose some weight when needed. All the recipes are yummy. Cons: a LOT of prep and expensive ingredients, and results are not always decipherable without expert help. (and even then….) You will not be eating “like yourself” for a really long time because every little thing has to be isolated and given its own test day. THE PLAN recipes are all fast to put together. The hardest part about it is having everything you need on the right days. But the payoff is that along with discovering problem foods, you will find certain foods and even restaurant meals that are “friendly” and actually help you lose. I followed FMD for nearly 5 months in between two of my HCG injection rounds. It was great for maintaining and quickly fixed my carb sensitivities, by far the biggest benefit I saw from it. I started that second round at exactly my ending weight from the previous one, the only time that has ever happened for me. The first month I followed all the rules, after that I did add coffee and some greek yogurt back in for a protein source for the remainder of the time. Although each of these programs has their place, I find that THM is the most flexible and therefore most sustainable long-term for me. I still occasionally do some single fuel days ala FMD, and insert some friendly days from my time on The Plan when I feel like I need a “back to basics” reset. 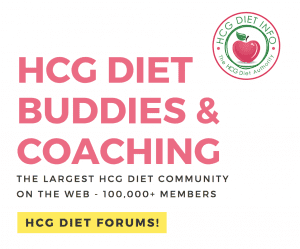 About me: My name is Leez, and I’m an expert Hcg Diet Coach and moderator in the Hcg Diet Info Forums. I’m also a success story, and have maintained my own Hcg weight loss of 70 pounds for many years. My last round was with Diet-Doc link. I receive a small commission for each purchase initiated on that page. (All HDI discounts and coupons apply.) I consider it an unexpected thank you for the past several years I have spent volunteering my help in the forums. If you have any questions about my experience with Diet Doc, please ask. I’m happy to talk with you about it. You can also read my full review for Diet Doc here. The beginning of my maintenance phase (P4) was like most of those that message me. I was… scared. I was scared that I would add the wrong thing to my grocery cart, and would end up gaining the 90 pounds back, that I had lost on my Hcg diet journey. The one thing that helped me significantly, was establishing a plan… my very own Hcg weight loss Maintenance program… which was initially keeping as close to the original Hcg Diet protocol as possible. What does this mean? I stuck to the expanded list of Hcg Diet foods for phase 2 and phase 3; whole foods, with lean meats, vegetables and fruit. Was this easy? Yes, and no. It was easy, in the fact that I had become familiar and lived with the protocol for a good portion of the previous year. However, what really helped in the end, was committing myself to weight loss specific healthy eating and maintenance programs. For those of you who prefer actual post Hcg weight loss maintenance programs however… I understand your reasoning and the fact is, having a “plan” is essential and can make things incredibly easy when transitioning from Hcg Diet weight loss programs to the real world… Here are a few programs that I personally recommend. This program is actually a series of books (Whole 30 Books on Amazon), and a dietary approach based on eating “whole” foods. This means, no chemicals, no preservatives, no prepackaged or processed foods whatsoever. The idea behind the book, is to weed out all of these foods and create a 30 day stretch of living in the Whole 30 state of mind (and body.) I have come to stick to this approach as much as possible and find it is surprisingly easy. OMG these programs are a gift from heaven on those days when I REALLY want some healthy and delicious for my family, but I just don’t feel like cooking. These programs offer the same delicious meals one would get at a nice restaurant, but without the high price tag of eating out. They are also incredibly convenient, since you can order them online, and simply keep them in your fridge or freezer for those times when you want a convenient, healthy meal. Personal Chef to Go – Fully prepared, ready-to-eat meals and entrée salads are prepared by chefs, using locally sourced vegetables, and hand-trimmed meats. Exercise and keeping active, is essential to keeping the weight off and living healthy. Before you cringe, imagining hours on the treadmill and forced gym trips… the truth is, it doesn’t take much to live an active lifestyle after Hcg weight loss. A simple 20 minutes of activity a day, and getting off the couch, is a great start. Active living plan: 20 minutes of walking or movement first thing in the morning. 30 minute walk in the evening. The more the better, but this is a good start. I also recommend taking up a new hobby that you will both, keep you active and bring a little joy to your exercise efforts. A great place to start is by simply taking a class to learn something new: take a beginner’s yoga class, sign up for tennis lessons, jump into a volleyball class. Thai Chi, yoga, pilates… all of these are great options. I spoke with a recent Hcg dieter in the forums who had decided to take up martial arts at the post-Hcg weight loss age of 62! I love it! If you have been a couch potato in the past, now is the time to ditch that habit and keep the weight off: Don’t sit! I know most active individuals will watch tv while walking on a treadmill. I’m a bit more partial to bouncing, walking or holding yoga poses on a rebounder while watching TV. You’d be surprised how many health benefits can come from this! Another option; consider cutting back on TV or any other habit that has you sitting too long. For those who are feeling a bit intimidated by the idea of going into a yoga studio or pilates studio but want to learn and get toned, here are my recommended online programs. I have used both of these when going into the yoga studio wasn’t an option and they were great. Conclusion: My best advice for maintaining the weight loss after the Hcg Diet, is to have a plan. Decide on that plan while you are still in Phase 2, if possible, and keep it simple. For me, that was sticking as close to the P2 foods list, and implementing an exercise plan that was fun to do- not a chore. 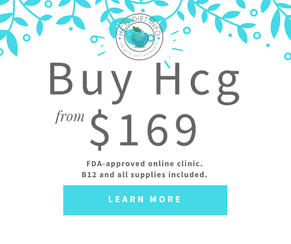 No matter which post-Hcg weight loss program you choose, it is important to choose something that comes with little pressure, and that makes you feel good overall.